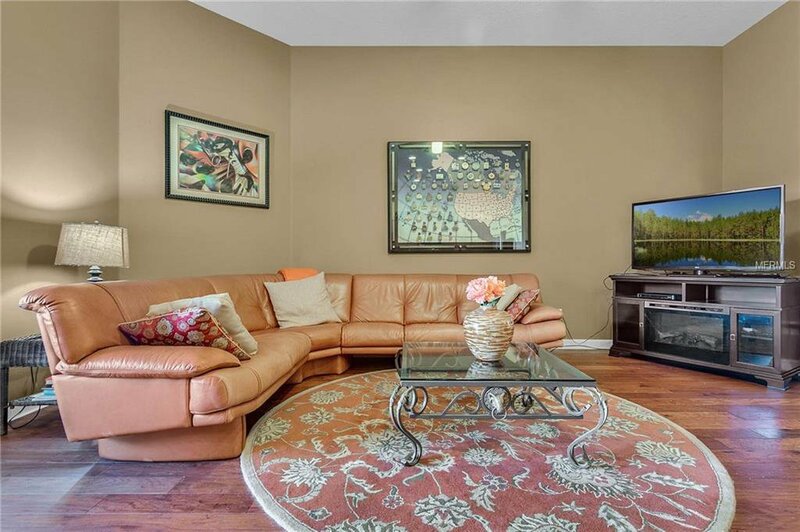 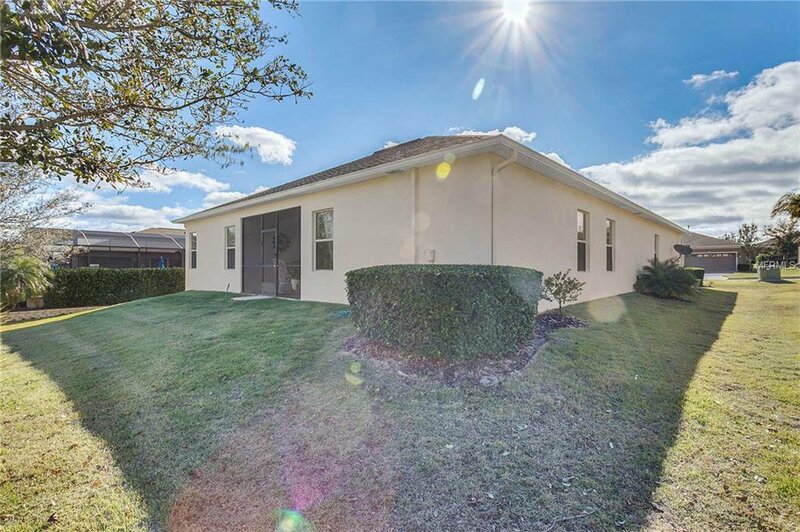 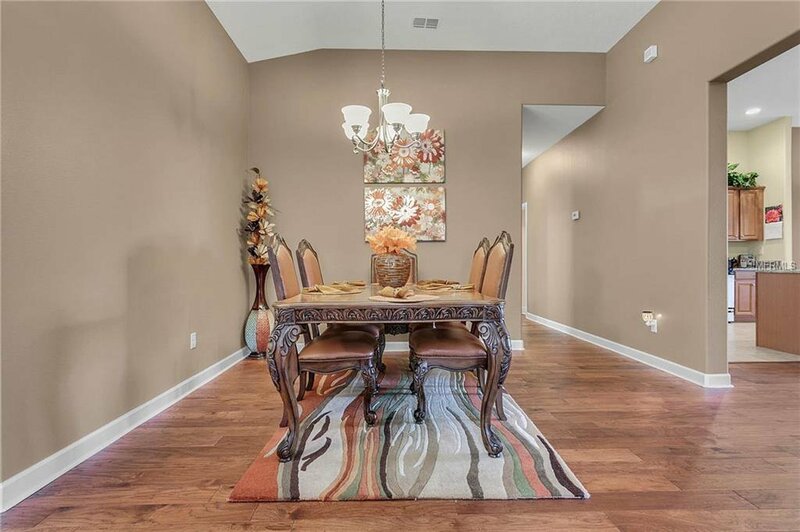 Pay a visit to this lovely home and see why it's BETTER than new. 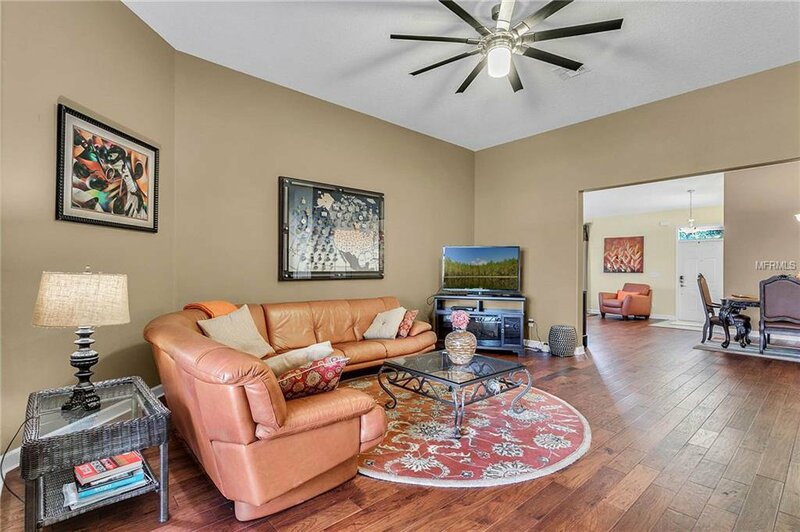 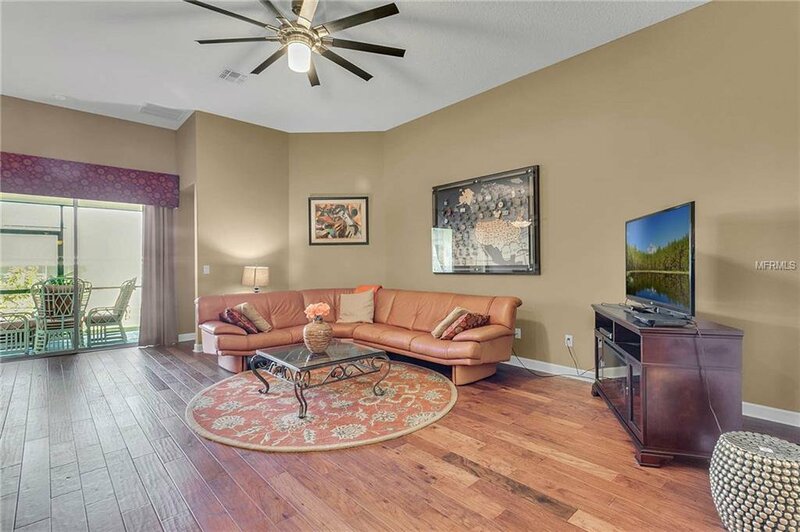 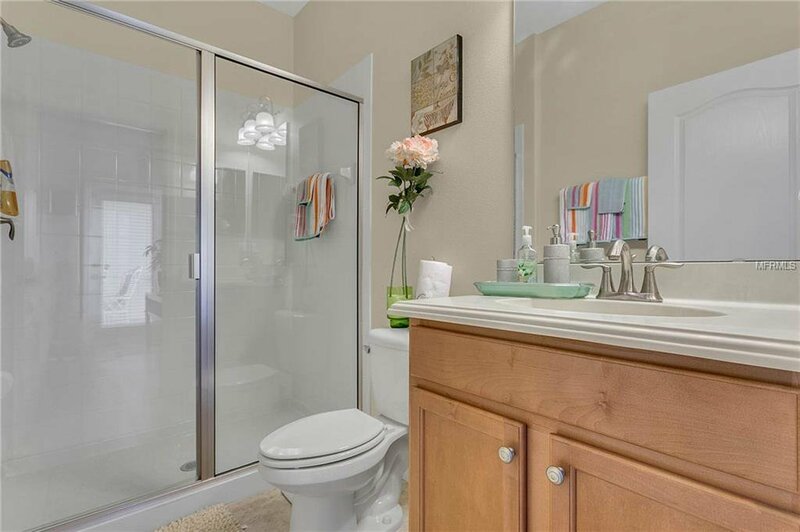 This heavily upgraded home boasts custom painted interior, 20" tile in the wet areas, beautiful engineered wood floors, covered front porch, screened-in back porch overlooking a custom landscaped backyard. 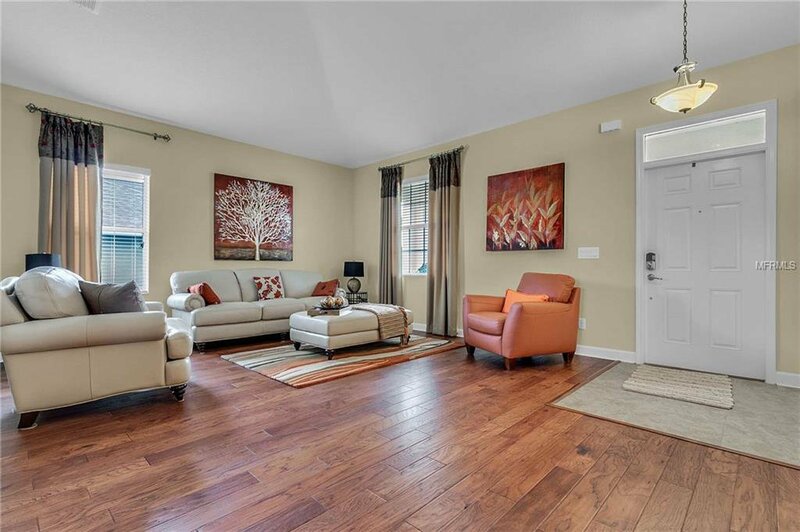 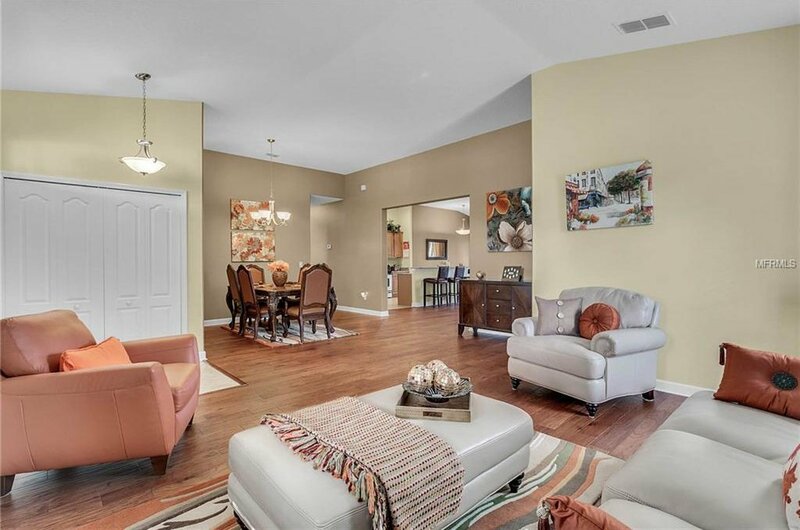 This open floorplan is amazing for entertainers. 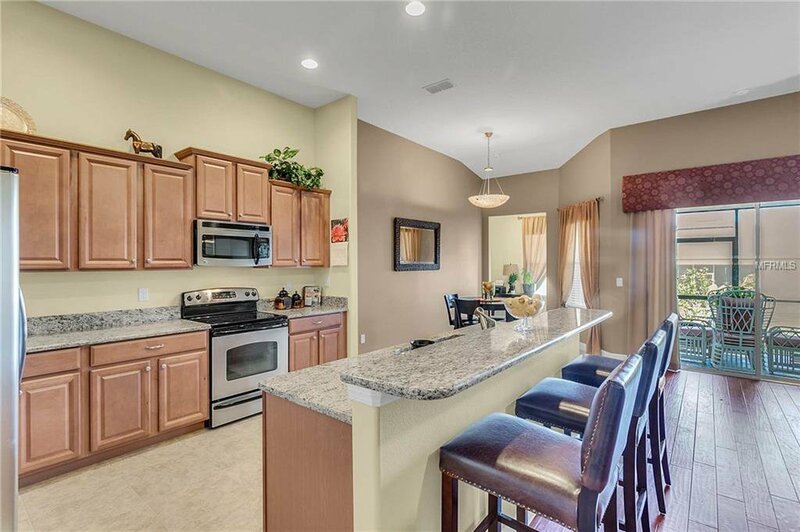 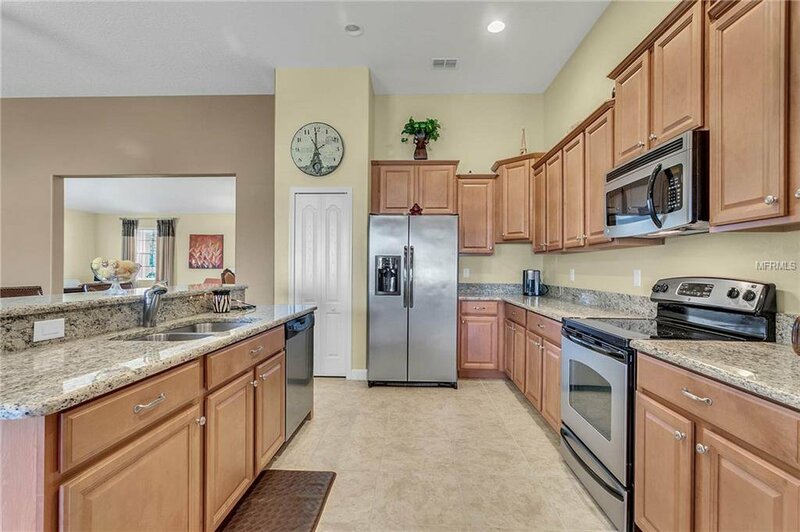 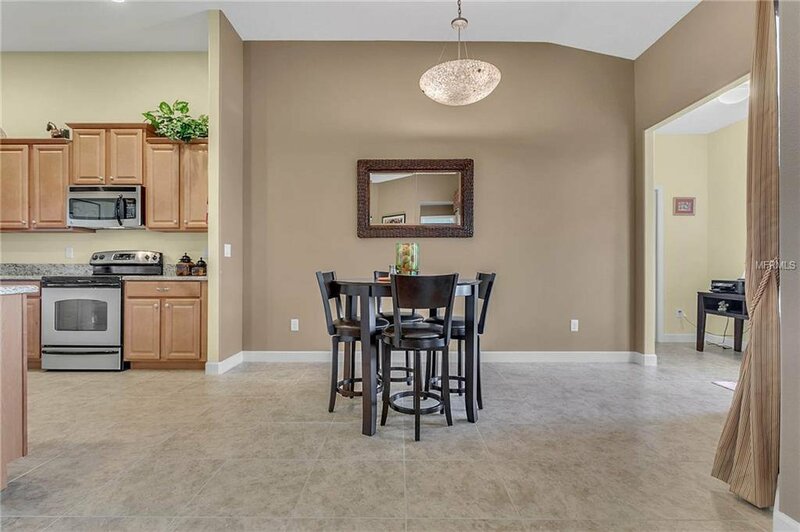 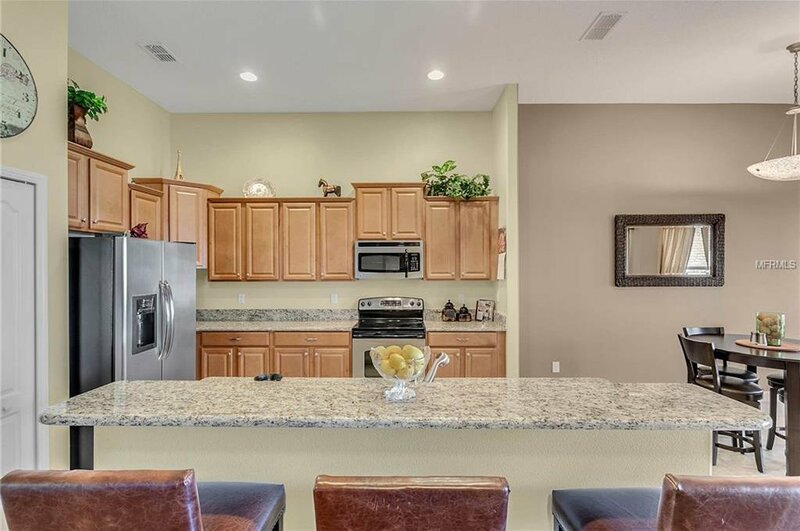 The kitchen is impressive with 42" cabinets, granite countertops, custom backsplash, stainless steel appliances and a breakfast nook with a formal Dining Room and Living Room just steps away. 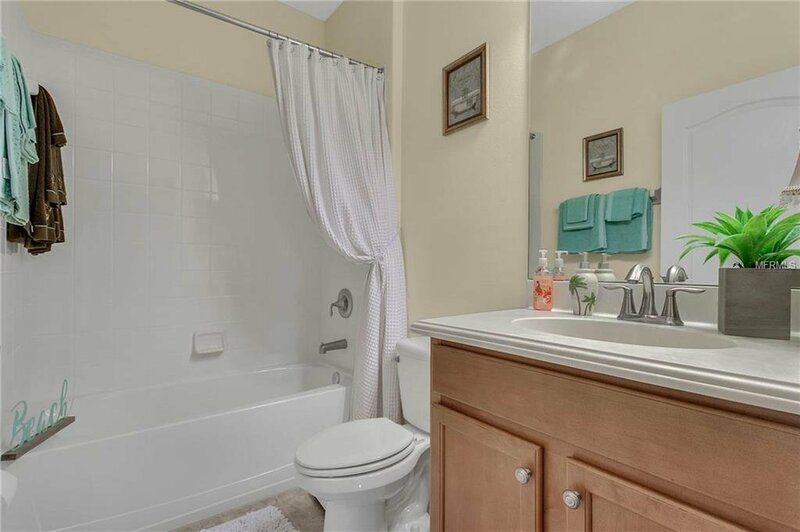 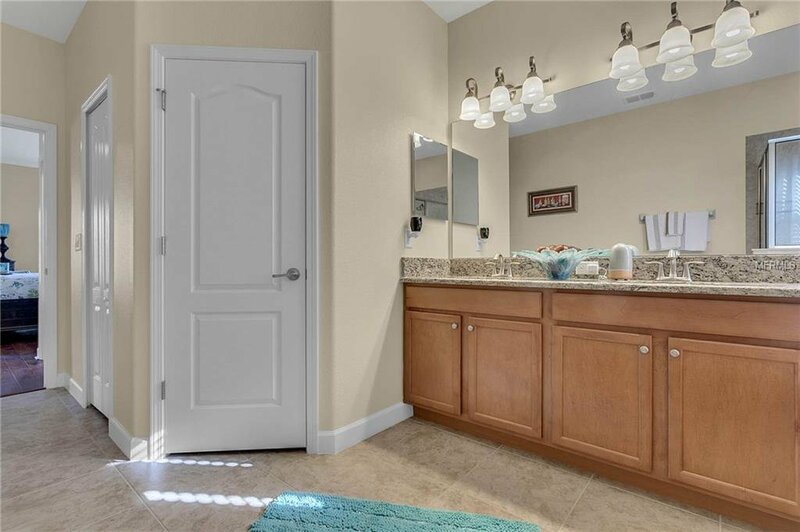 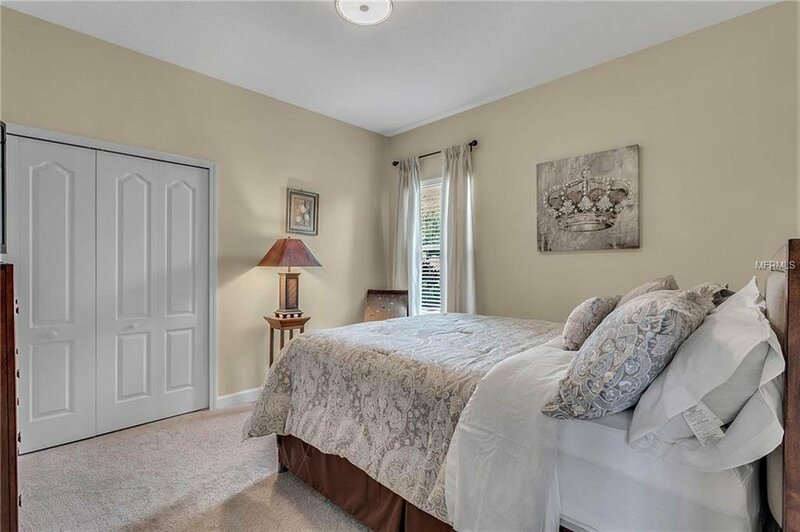 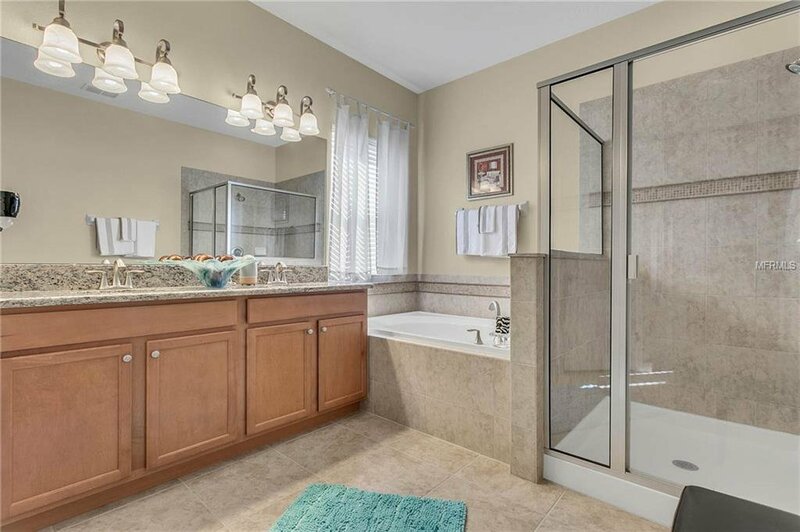 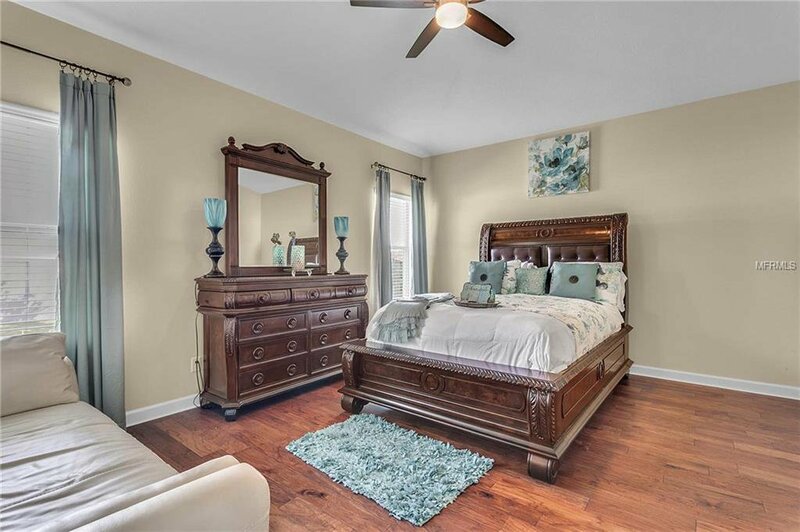 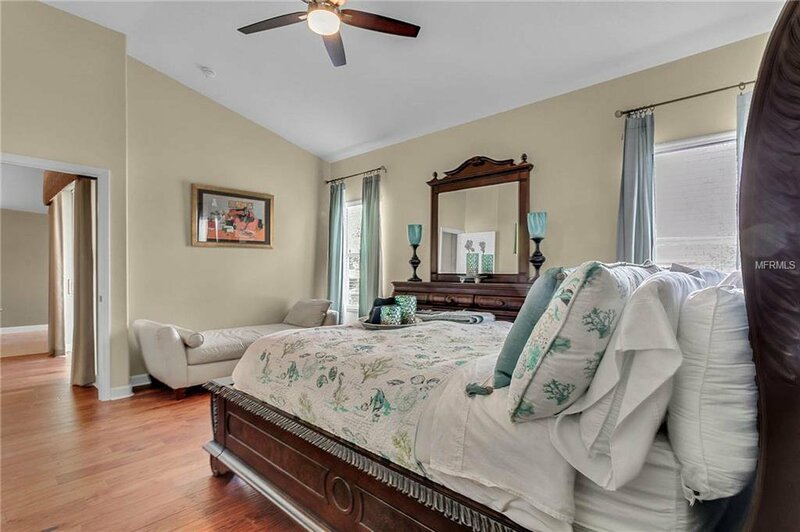 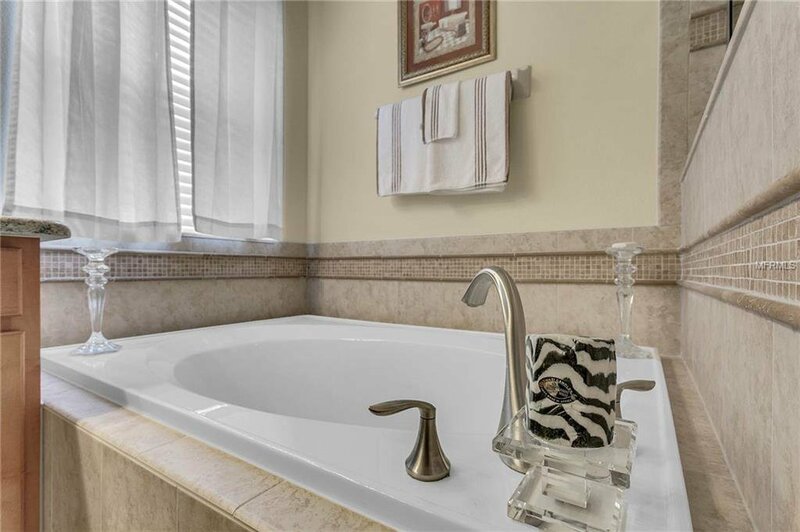 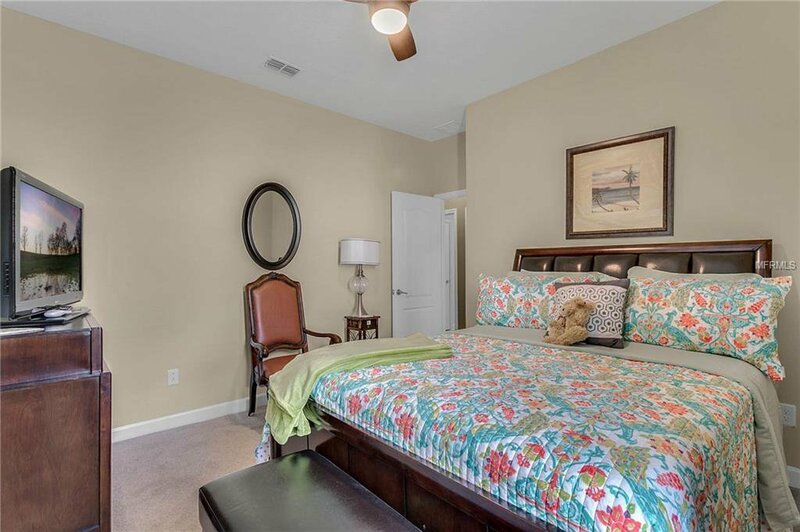 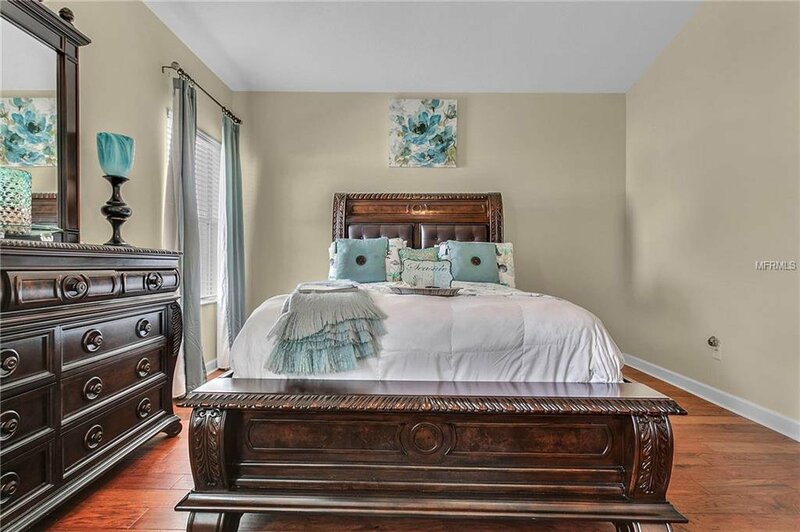 The Master Suite has tall ceilings and warm wood floors, a walk-in closet, and an expansive Master Bath with double vanity and a walk-in shower. 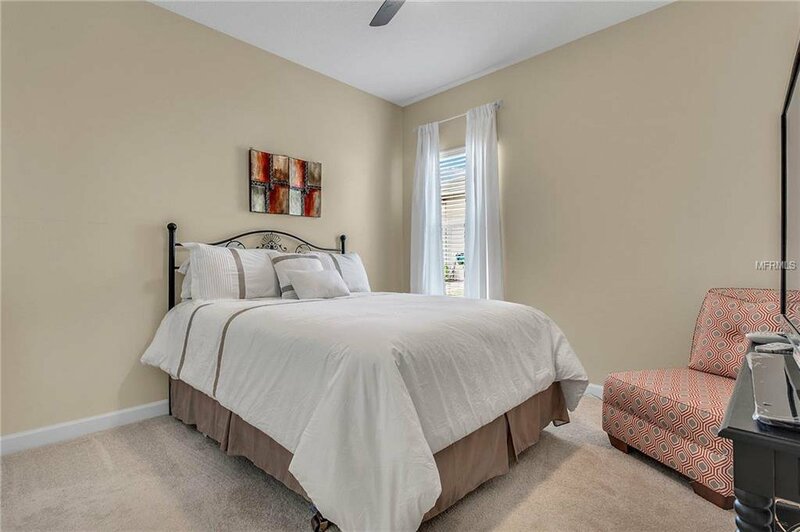 Enjoy plenty of space for guests with additional 3 bedrooms, ample closet space throughout the home and a 3 car garage. 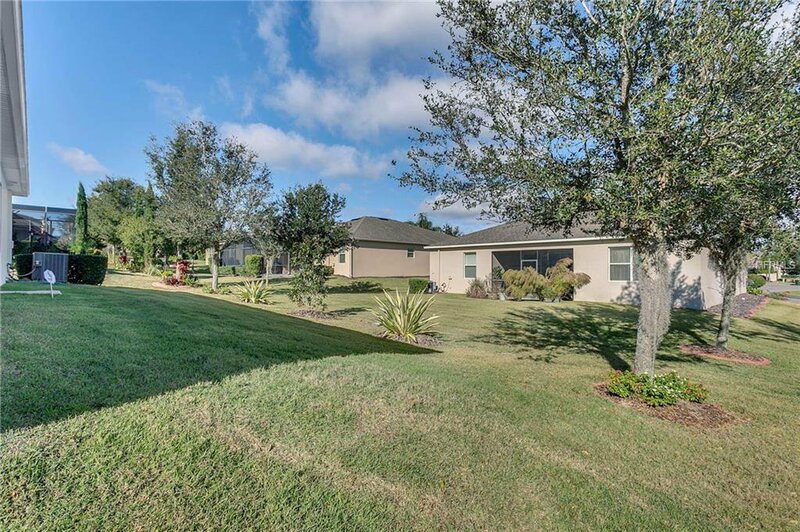 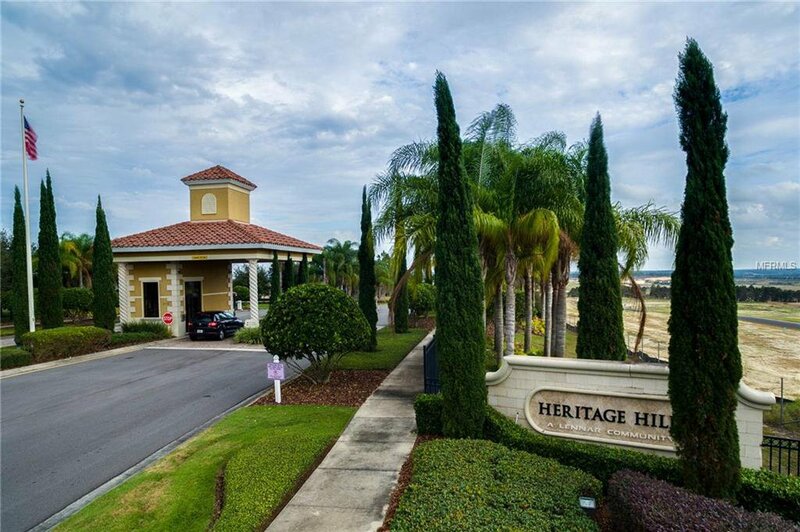 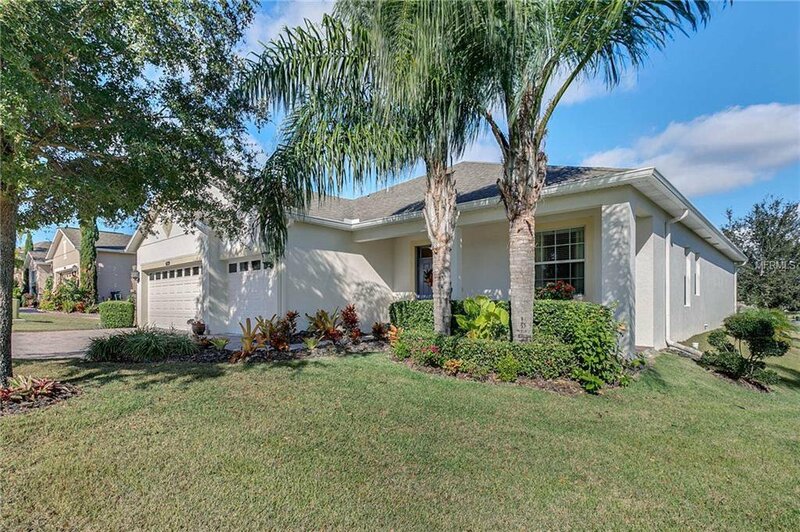 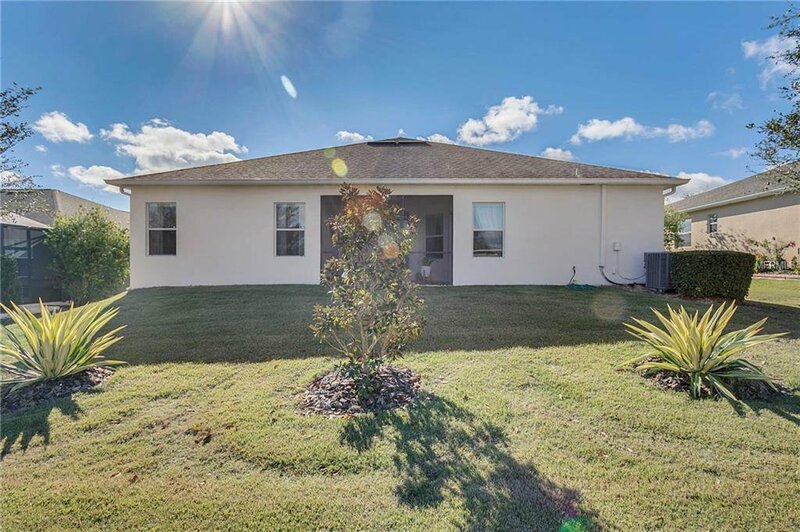 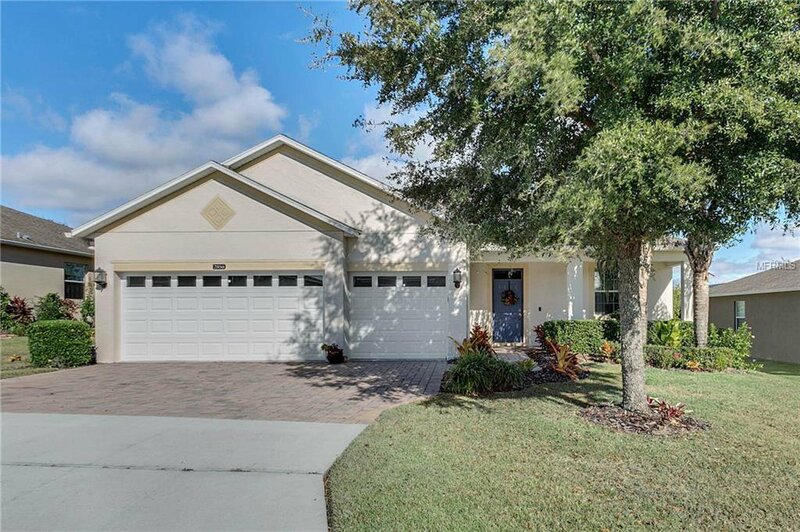 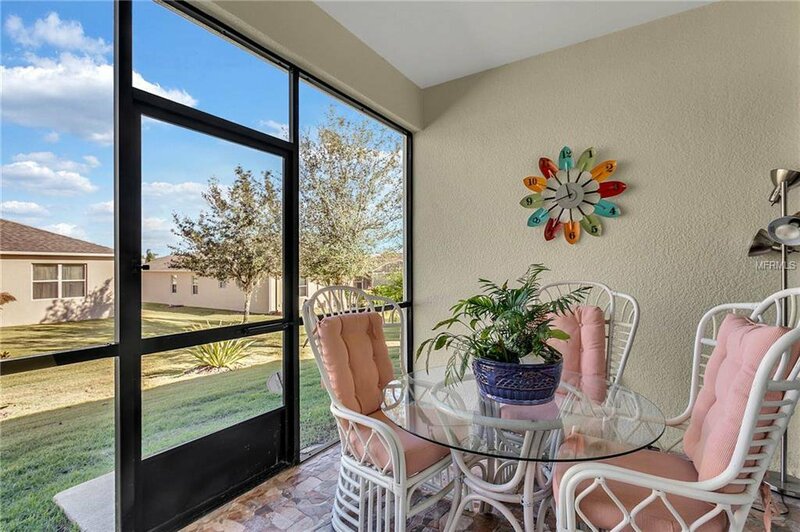 Heritage Hills is a gated and 24 hr secured 55+ active community built in the rolling hills unique to Clermont. 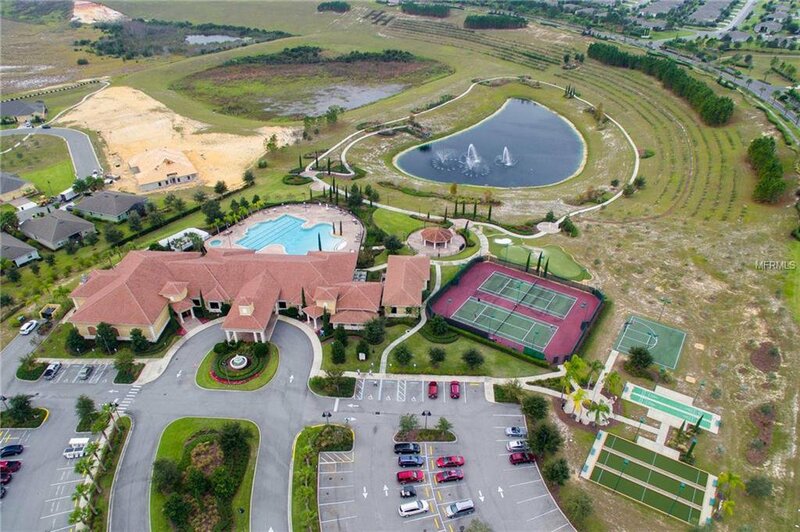 Community amenities include a resort style heated pool and spa, tennis, pickle-ball, basketball, bocce, and shuffleboard courts, horseshoes, a chipping green, and a virtual golf simulator. 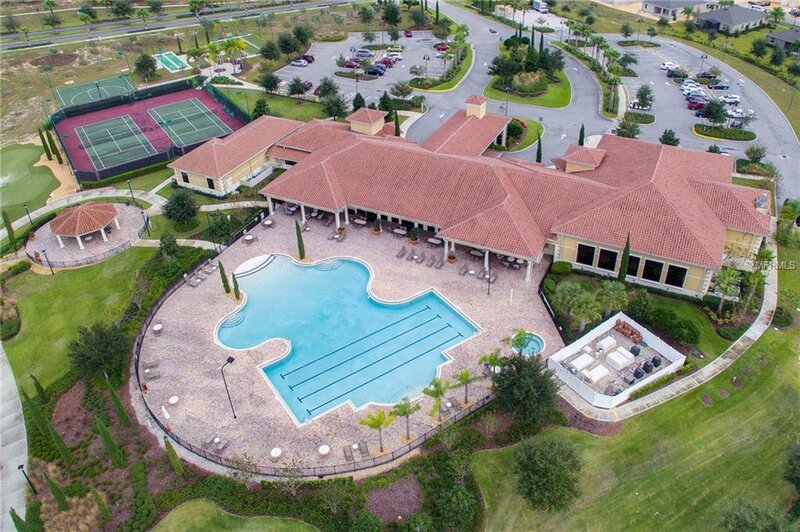 Inside the luxurious Clubhouse, is a 24 hr Fitness Center, exercise room, craft room, library and Ballroom for special events. 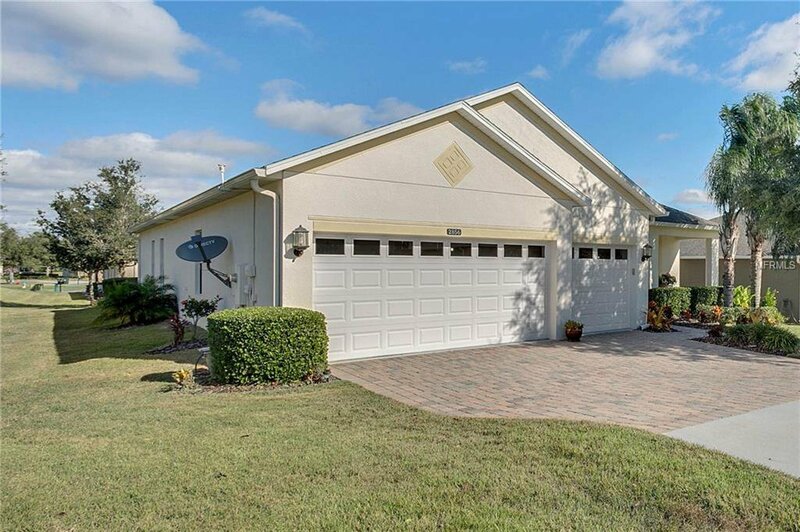 Enjoy easy access to all the attractions, Florida's Turnpike, as well as shopping, dining, and medical services. 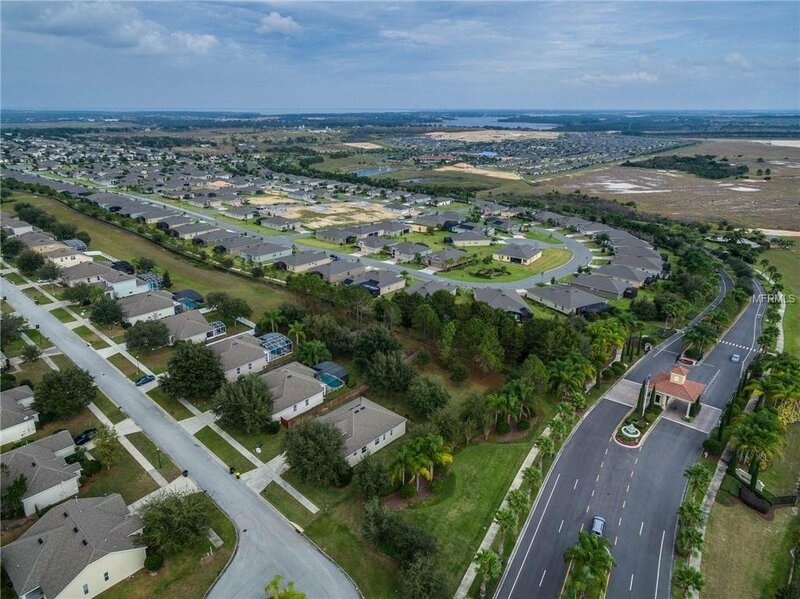 The east gate will connect you quickly to Hartwood Marsh Rd and a short drive to the Winter Garden Village open-air mall and 429 expressway. 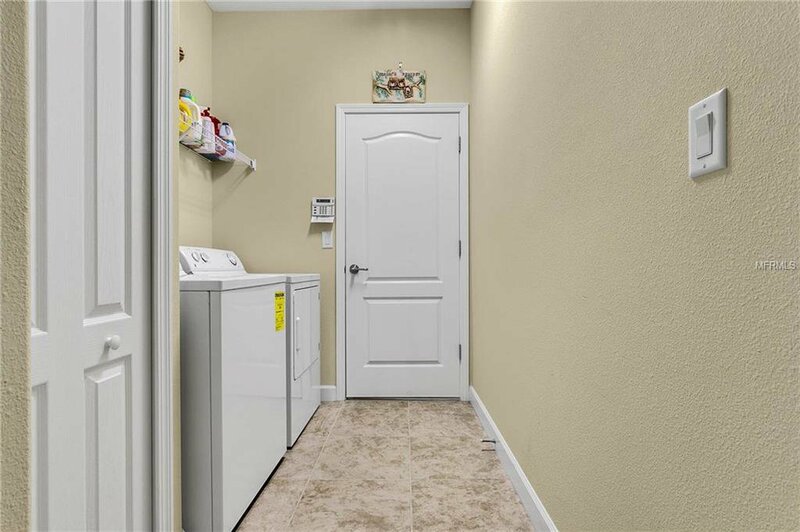 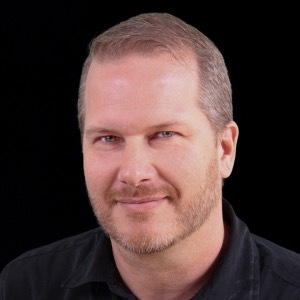 Call today to schedule a visit!